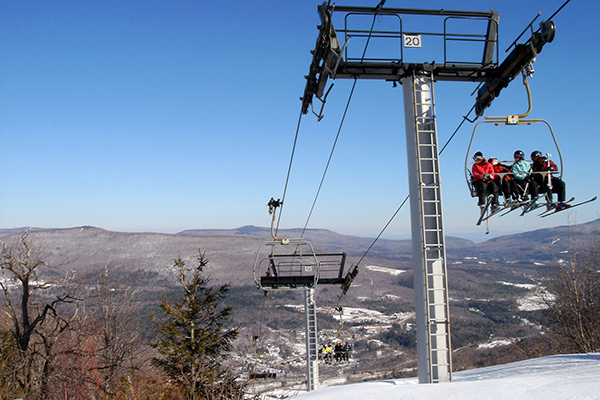 The Catskill Mountains are home to more than just skiing and snowboarding opportunities. 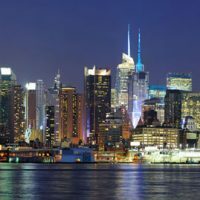 There are also a plethora of quaint and charming towns to explore, delicious restaurants to try, and fun, seasonal happenings to experience — all within driving distance of each other and all easily accessible during a weekend in the Catskills. Consider these ideas for your visit with the kids. The Mid-Mountain tour is best for families. Approximately three hours in duration, it includes six zip-lines and four rope bridges. 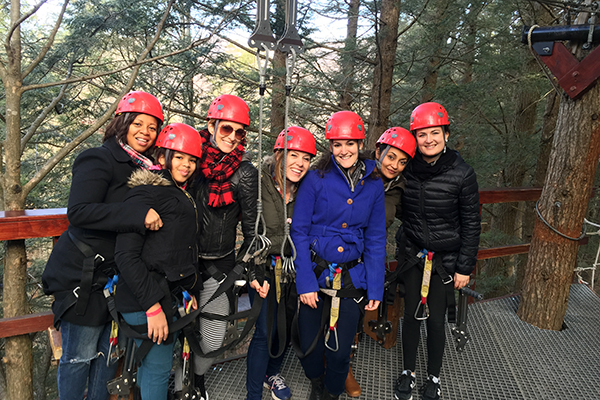 The longest zip-line is about 650 feet and almost 60 feet in the air. The Skyrider tour is the second largest in the world, and includes more than 4.6 miles of zip lines. Prepare to hit speeds of up to 50 mph on your first ride (which takes you 600 feet above the valley). And finally, perfect for all ages, is the Adventure Tower, which takes participants 60 feet in the air as they overcome nine different obstacles to reach the top of the tower. Note: All of these tours are year-round, so dress accordingly! 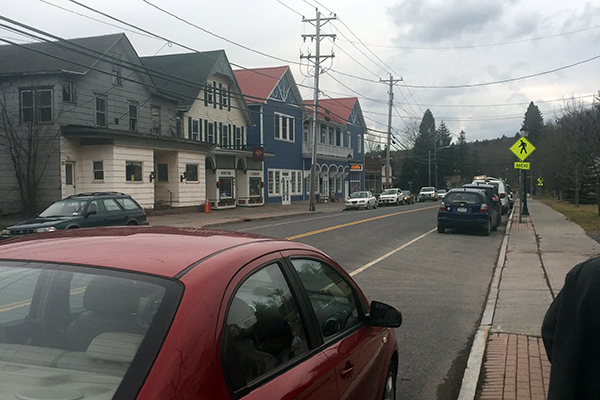 Just beyond the windy trails of Hunter Mountain is the town itself, where families can stumble upon the definition of quirky and artsy charm. There’s the Piano Performance Museum, home to an abundance of historic pianos and musical artifacts from the past four centuries, and the Kaaterskill Fine Arts & Crafts Gallery, where families can peruse works of art by local and regional artists, as well as pick up a book (or two) and some jewelry. After all this touring around, stop in to the Mountain Caf? for some yummy and wholesome eats. We know what you’re thinking… no, it’s not THAT Woodstock. 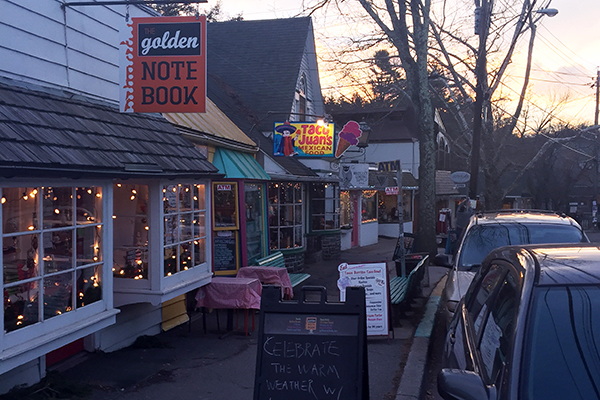 The Town of Woodstock (26 miles from Hunter) is ever-so-eclectic and filled with family-friendly shopping and eating. Stop into Fruition Chocolates for some delicious (obviously) chocolate, treat the kiddies to some toys from The Rare Bear, stock up on some funky candles at Candlestock, and end your visit with some organic frozen yogurt at Little Apple. 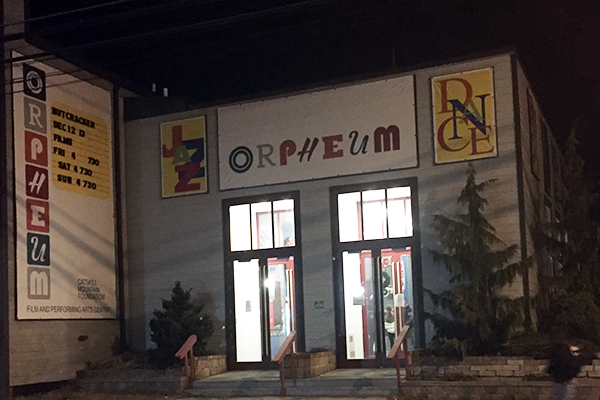 A quick 19 miles away is the Orpheum Performing Arts Center in Tannersville, New York. Opened in 2011, kids of all ages can rehearse and put on shows here, as well as partake in various dance classes. The walls of the lobby are lined with unique art and there is also a concession stand. We’ve had the pleasure of watching Valentina Kozlova Dance Conservatory New York’s version of “The Nutcracker” in the past — don’t miss it. There’s just nothing cuter than little ones running around on stage dressed in tutus and mouse costumes! Fun Fact: The National Dance Institute spends quite a bit of time here during the summer months. After (or before) your visit, be sure to check out the 50’s-inspired diner, Mama Boy’s Burgers right across the street, and dive into rich and creamy milkshakes, sundaes, and burgers. You’ll feel like you’re in an episode of “Happy Days” as you nosh on burgers and shakes! Water parks are a surefire way to win the praises of your kids, so be sure to check out Zoom Flume Water Park in East Durham, New York. Ride the waves in the Riptide Cove Wave Pool, slip and slide down 300-foot waterslides, or relax and unwind along the lazy river. Parking is free, and there is a restaurant, multiple snack bars, picnic areas, lockers, and a gift shop onsite, as well. 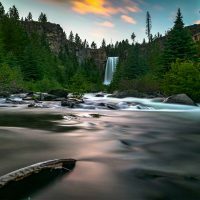 The park is open mid-June through the first week in September. Who doesn’t love a visit to the zoo? The Bailiwick Animal Park in Catskill, New York, offers trail rides for those ages 7 and up, pony rides for those ages 6 and under, and paintball. Animals to meet and greet include tigers, camels, and crocodiles. Open April 1 to October 1, 10 a.m. to 5 p.m. daily, Oct. 2 to Nov. 30, 10 a.m. to 4 p.m. on weekdays and 5 p.m. on weekends. After doing the less-obvious things the Catskills have to offer, strap back into your ski or snowboard boots and hit the trails of Hunter, Windham, Plattekill, or Belleayre. Each of these mountains is super family-friendly, with lodges chock-full of yummy eats, plenty of cruiser-trails for beginners, and more. This ultra-cozy inn features a spectacular onsite restaurant, ample outdoor space, and quaint rooms (one of which is dubbed the “Family Suite”). Featuring multiple outdoor pools, a plethora of outdoor activities, onsite family dining, and rooms that can accommodate up to eight, this resort in Callicoon, New York, is a great option for large families visiting the Catskills. If you’re looking for some good old-fashioned family fun, consider a stay at Pollace’s Family Vacation Resort. Accommodations range from motels to family units to rooms in the main lodge, and amenities include an outdoor pool, various water sports, and free Wi-Fi in the lobby.